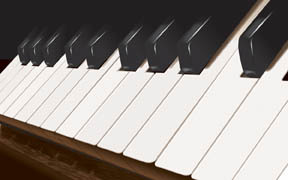 For expert piano tuning and repair in the north and northwest Chicagoland area, from Wilmette to Barrington e-mail or call GARY MESSLING PIANO TUNING at (847) 312-9057. Reasons to regularly tune your piano. * Routine maintenance keeps small problems from becoming large ones. Regular tuning of your piano will not only allow you to fully enjoy music, it will also maintain the stability of your piano. If you have any questions regarding the maintenance of your piano, I will be very pleased to hear from you. I provide expert service at a reasonable price.